Hapag-Lloyd says it will convert one of its vessels to be capable of burning liquefied natural gas (LNG) bunkers. Writing in its 1H 2018 report, the world's fifth largest container carrier by capacity said it would modify "a large vessel" in its fleet to use the alternative fuel as part of a pilot project for its IMO 2020 compliance. Hapag-Lloyd said as recently as March that it considered the use of LNG a viable compliance option. 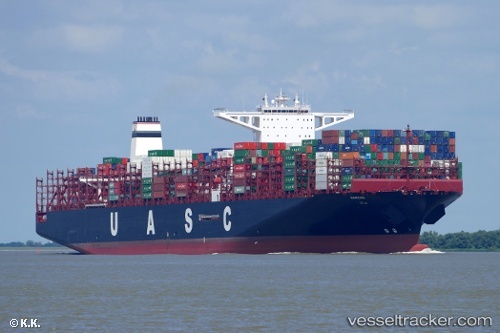 The carrier inherited 17 "LNG Ready" vessels as part of last years' merger with UASC. The "Barzan“ left the port of Rotterdam on Sep 20 again at 11 a.m. bound for Coryton where she berthed at the DP World London Gateway Terminal at 9 p.m.